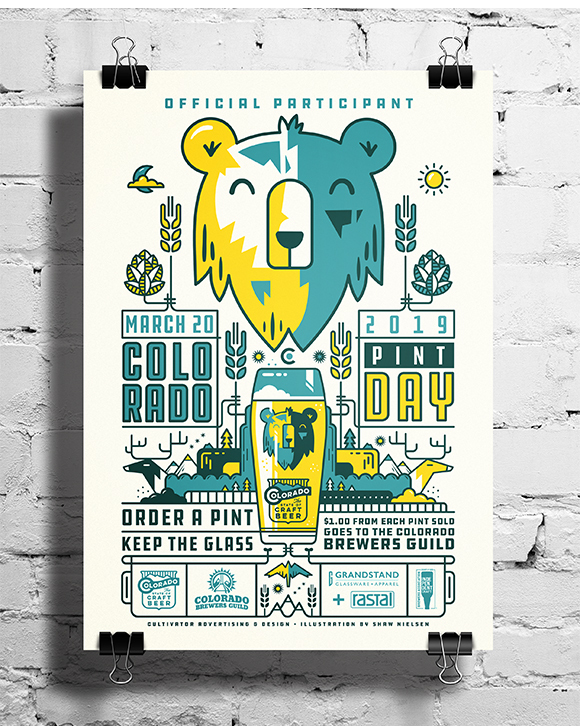 I recently had the pleasure of working with the Colorado Brewers Guild and Cultivator Advertising + Design to create the artwork for this years ‘Pint Day’ pint glass. 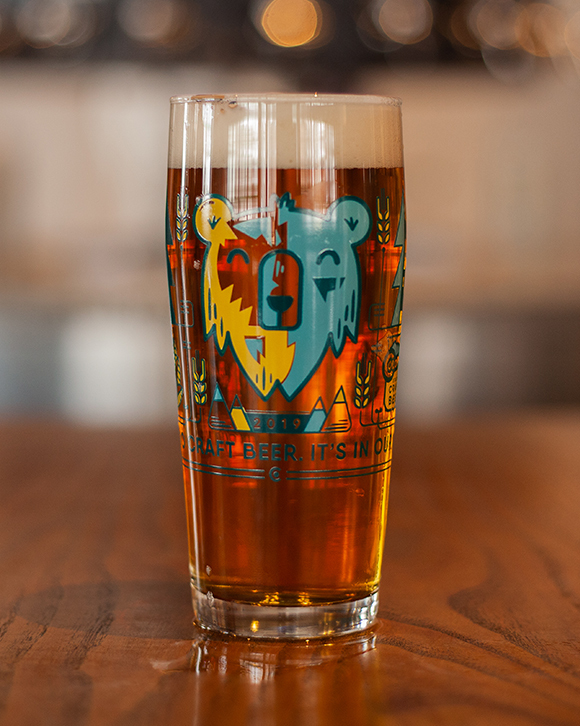 These custom-made pint glasses will be available for purchase at dozens of breweries across the state of Colorado on March 20th. The theme of this years event is “Colorado Craft Beer, It’s in our Nature” and one dollar from each pint sold will be donated to the Guild. 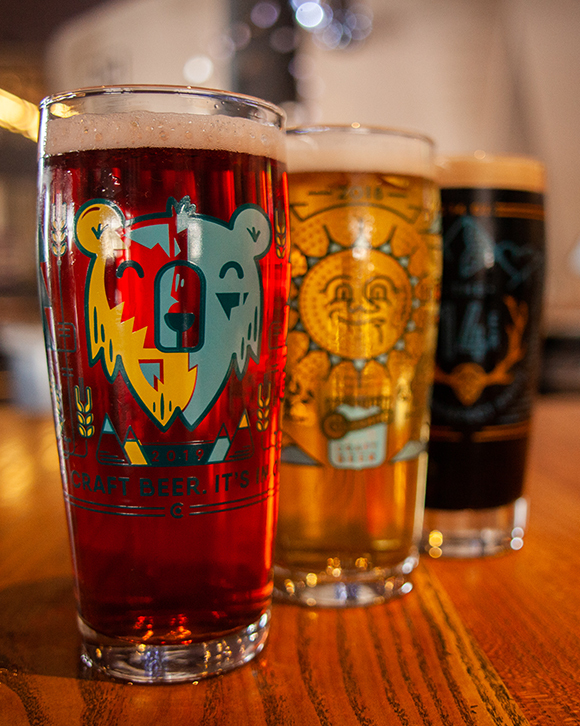 You can find a list of participating breweries and pubs by visiting ColoradoBeer.org. 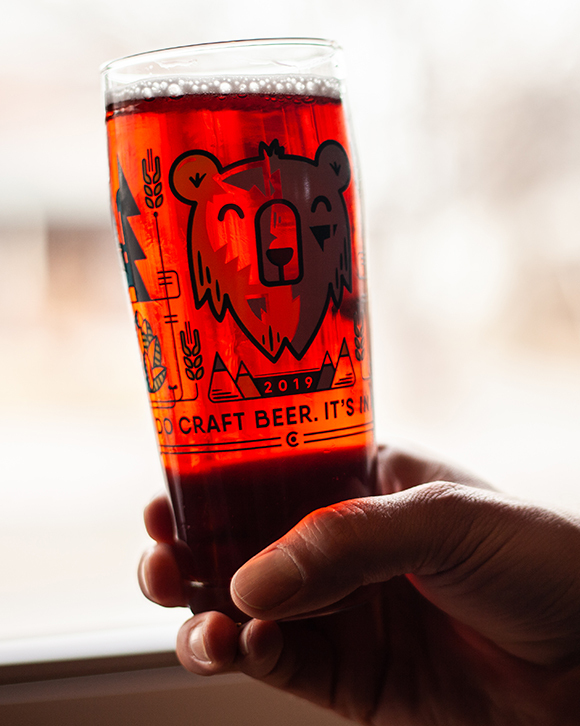 In addition to the pint glass, we’ve also created a poster for the event that has been silk screened printed and will be for sale at Epic Brewing in RiNO on Pint Day (limited edition of 50, signed + numbered by me). I’ll be at Epic Brewing in Denver from 4pm to 6pm on the 20th to sign the posters and chat with everyone about illustration, beer, skiing, and all the good things in life so stop on by and say hi!